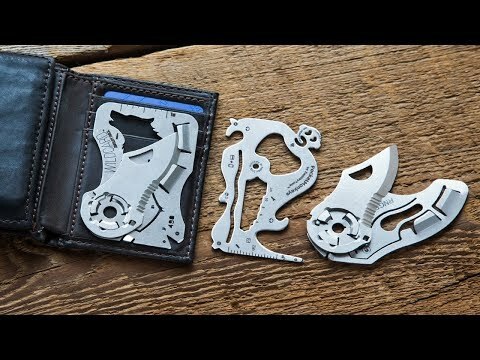 This multi-tool has laser engraved markings identifying its 12 functions packed into one millimeter of stainless steel. 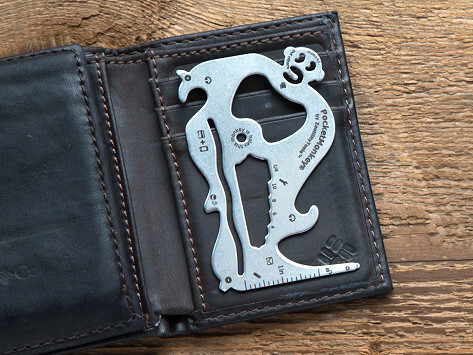 It's the size of credit card, so you can easily carry it with you at all times without adding bulk or heft to your wallet or purse. Dimensions: 3.28" x 2.02" x 0.04"
my grandson loves it. he likes the idea of it fitting in his wallet. I ordered two had to wait but it was well worth it. I came back and ordered two more. Now my husband and grandsons all have one. Another Great tool from The Grommet!! Well Done! Wish a carrying case came to hold all the Neat Necessities!! I called user friendly because my son and son-in law love it. they think is perfect size, can take it to any trip, and can be use in so manyo many ways.